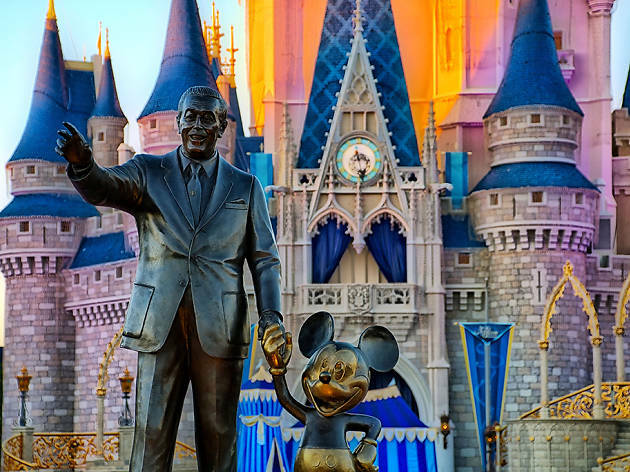 We all know that Orlando delivers big time when it comes to theme parks and amusement parks, but the best things to do in Orlando includes much more than just hanging with Mickey and looping through the sky at 150mph. 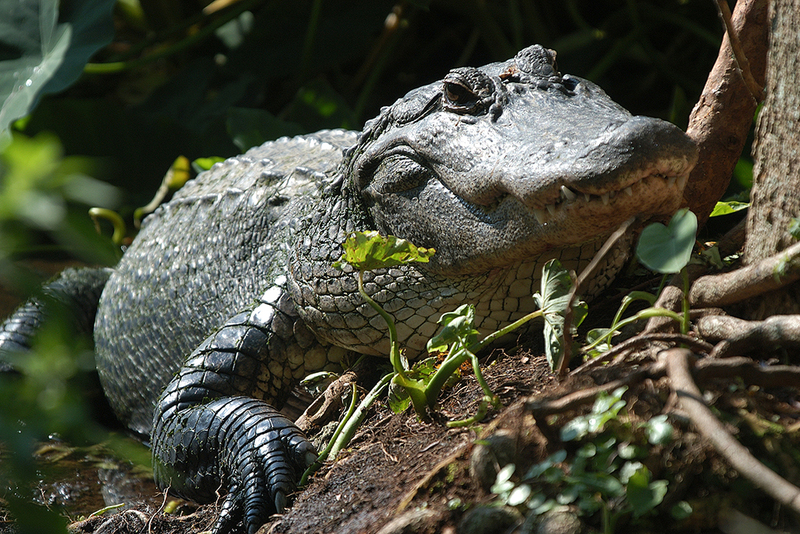 Orlando offers amazing outdoor adventures for the wild at heart—want to wrestle a gator? You can do that. 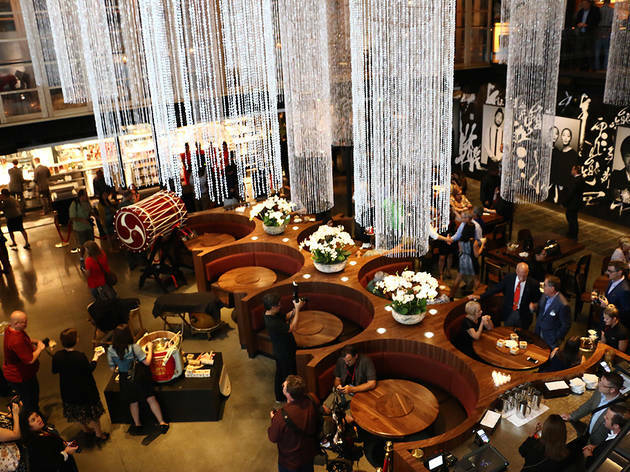 And the world’s top chefs are making inroads here, too—that’s Iron Chef Masaharu Morimoto serving some of America’s best sushi (in Disney Springs, no less). 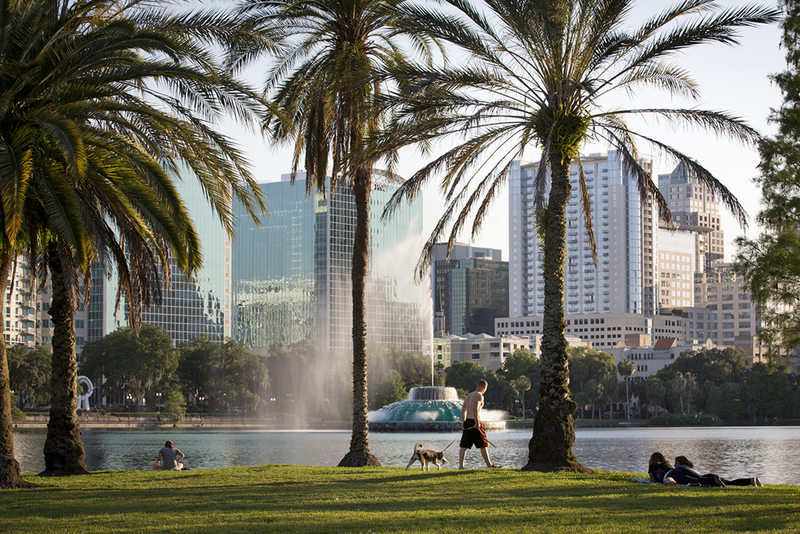 Our list of the best things to do in Orlando includes top shopping, parklands made for picnicking and a vibrant cultural scene. 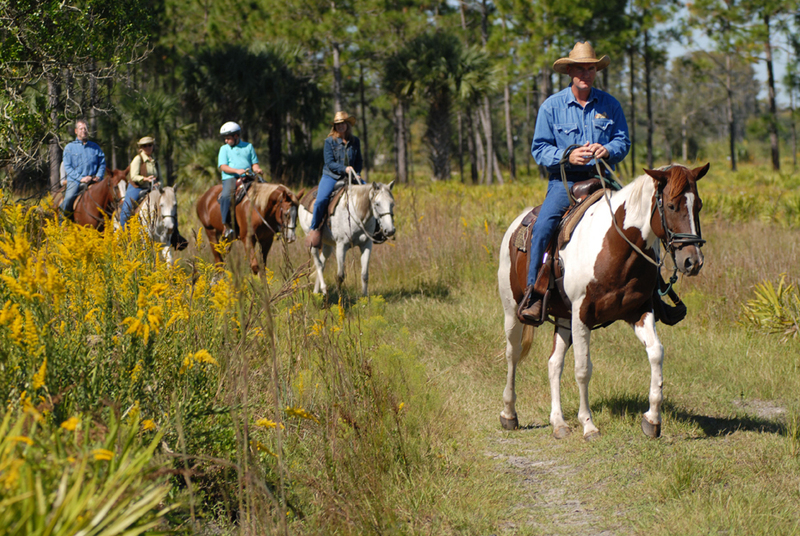 There are also plenty of things to do with kids in Orlando. Seriously...what more could you want? What is it? 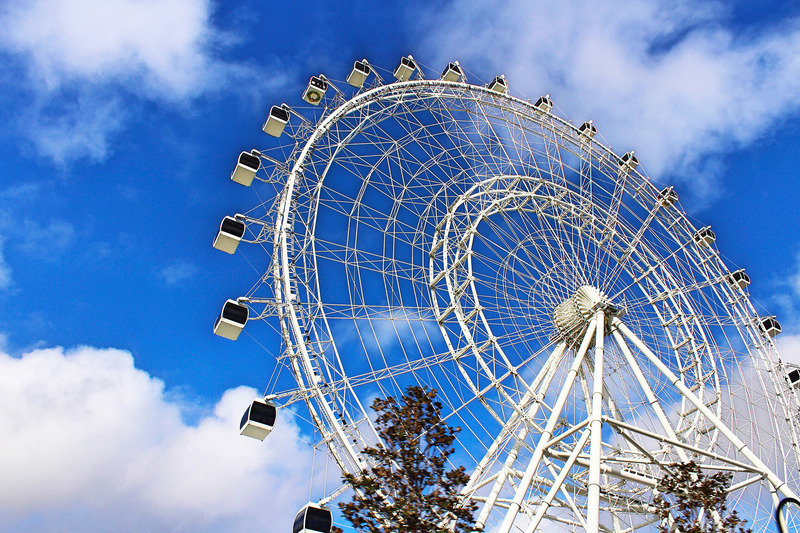 Brushing the clouds at an astonishing 400 ft tall, ICON Orlando is easily the highest observation wheel on the east coast. If you're looking to indulge in incredible, Floridian skyline views, then hopping aboard one of the air-conditioned pods is a must. Why go? Since you'll see a great slice of Orlando, the ICON is a perfect way to acclimatise to your surroundings. But besides the 360-degree views, it's a prominent celebration spot—and for good reason. Hiring an entire capsule is an easy way to ensure privacy for a get-together or romantic date (ooh la la). For the ultimate ride, go just before sunset and then grab celebratory drinks and dinner at the $250 million entertainment complex at the foot of the wheel. 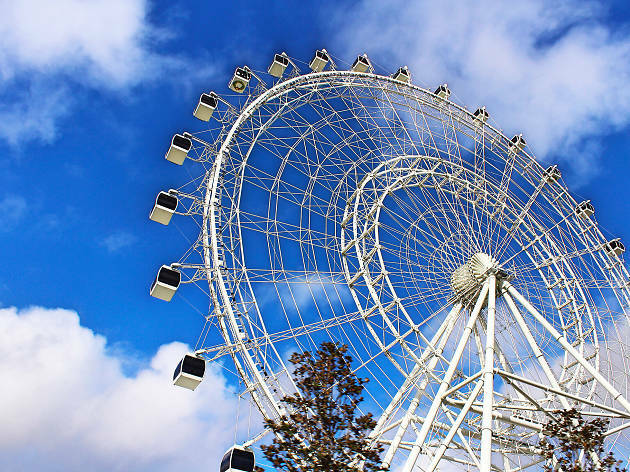 Oh, and if you're feeling particularly brave (or want to show off in front of your date) head over to the Orlando Star-Flyer for some swinging sky-high thrills. What is it? A legendary resort that has it all—from witches and wizards to Marvel superheroes. Great for families, film fans and kidults alike, you can also stay on site, giving you priority entry to the park (an hour before non-hotel visitors). No queues = bliss. Why go? The Wizarding World of Harry Potter? Transformers? The Amazing Adventures of Spider-Man? 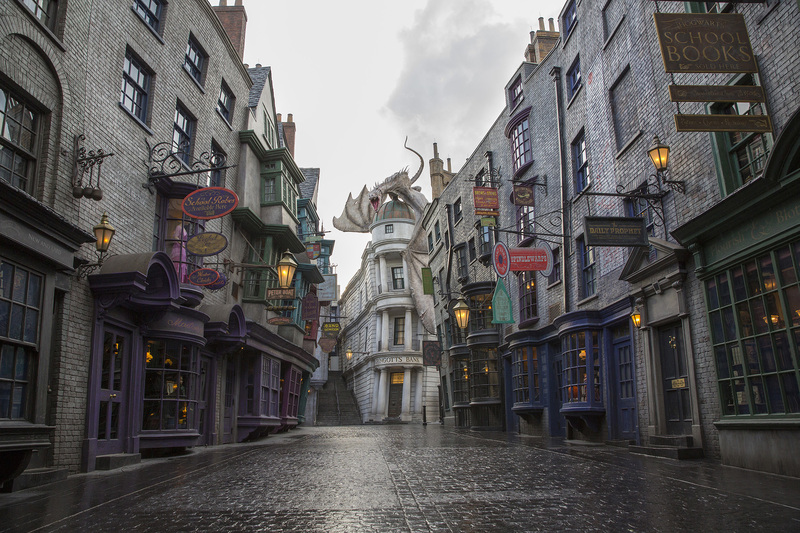 Whatever excites you most about visiting Universal Orlando Resort - make a plan! 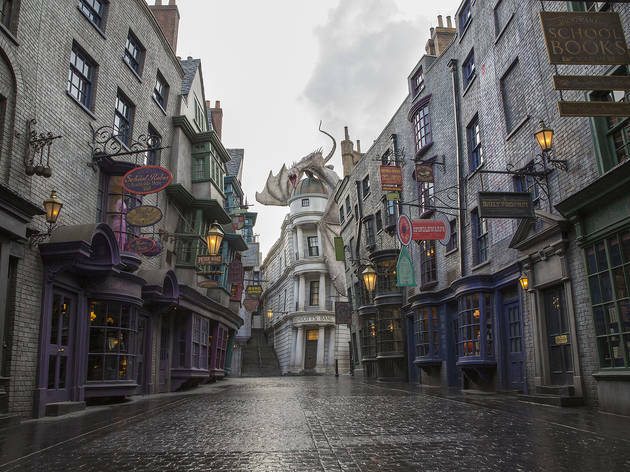 Because at both of its monumental theme parks Universal Studios Florida and Islands of Adventure, it’s very easy to get lost—or stuck in line for considerably longer than the average Hogwarts lesson. What is it? 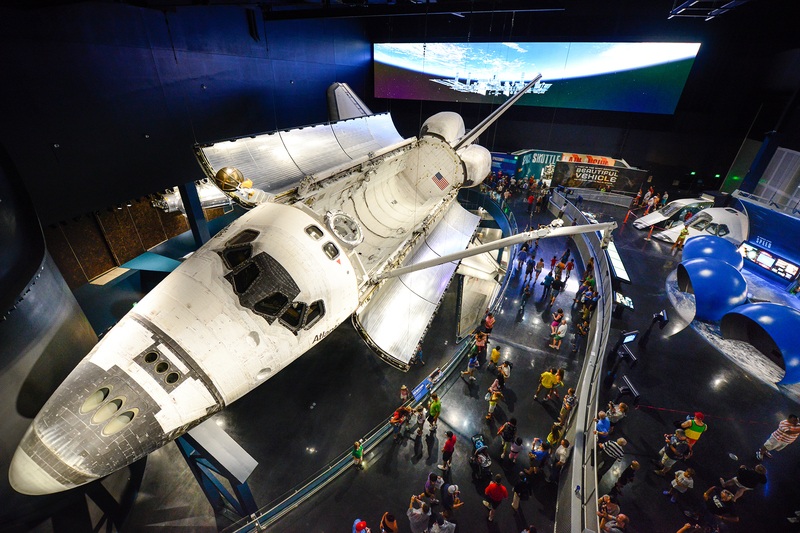 The Kennedy Space Center Visitor Complex offers guests the chance to vicariously live the star-spangled life of an astronaut. Why go? You can get a very realistic sense of what life in space is like through the complex's high-tech interactive exhibits featuring augmented reality and Star Wars-style holograms. 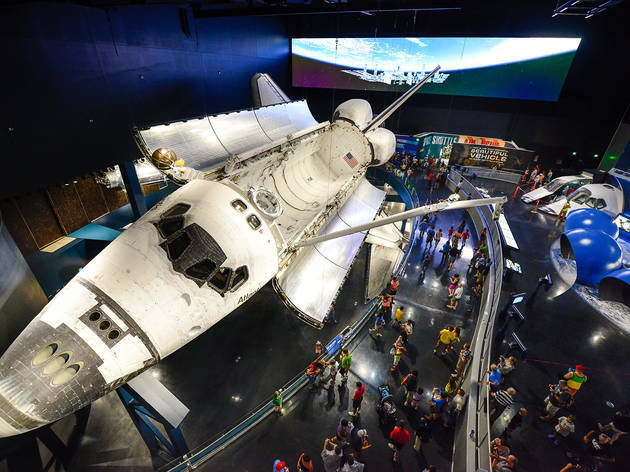 Highlights include the Space Shuttle Atlantis Exhibit (the famous craft itself hangs from the ceiling in all its mid-flight glory) and the Shuttle Launch Experience, which does pretty much everything you’d expect, save leaving the Earth. What is it? 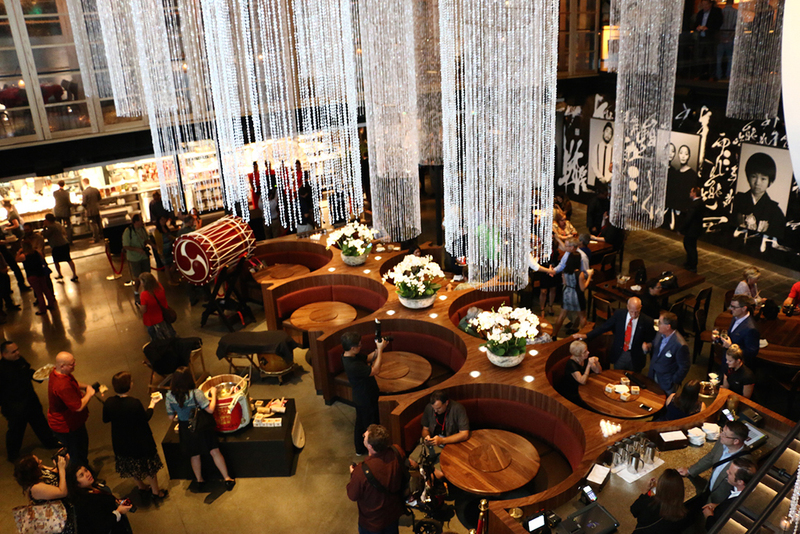 Morimoto Asia is the signature establishment from TV’s Iron Chef, Masaharu Morimoto, and the spectacular two-level space is one of the hottest reservations in town. Why go? Treat yourself to a slap-up meal at one of the finest Pan-Asian restaurants in the country. Grab a martini in the cocktail lounge before requesting a table next to the exhibition kitchen, a high-energy space where you’ll be able to watch the chefs prepare dim sum and carve Peking duck. What is it? C'mon, you know what Walt Disney World is: the four theme parks and two water parks that are collectively the happiest place on earth. Why go? Visiting Orlando without going to Walt Disney World Resort would be like heading to Paris and missing the Eiffel Tower. 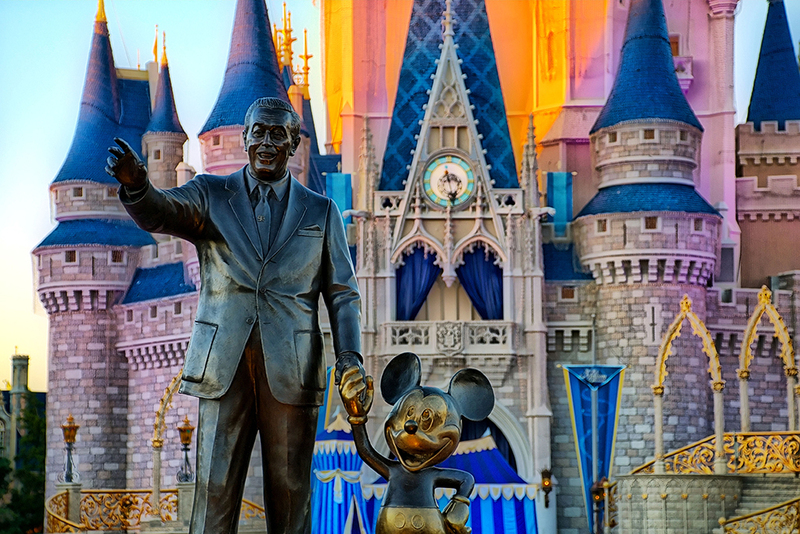 See its four famous theme parks—Magic Kingdom, EPCOT, Hollywood Studios and Animal Kingdom—from a new perspective by trying a backstage tour, whether a Segway ride through EPCOT or a wildlife encounter on Animal Kingdom’s Wild Africa Trek. What is it? 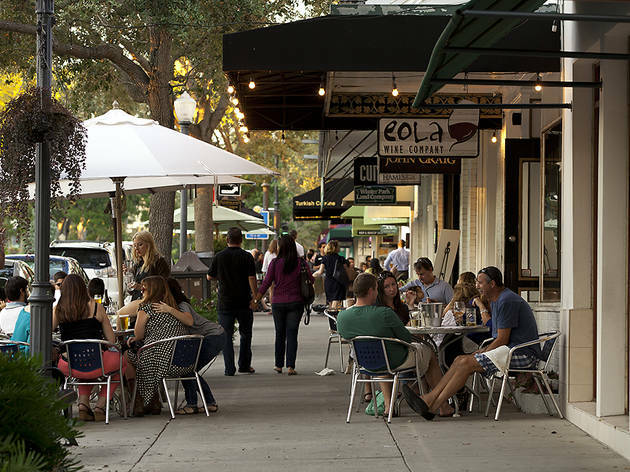 A short drive north of Orlando, Winter Park has evolved from a place for the wealthy to holiday into a hotbed of independent retailers and world-class restaurants. Why go? Spread across 10 blocks of the oak-lined avenue, 140 shops and boutiques sell everything from high-end footwear to pooch-friendly pastries. 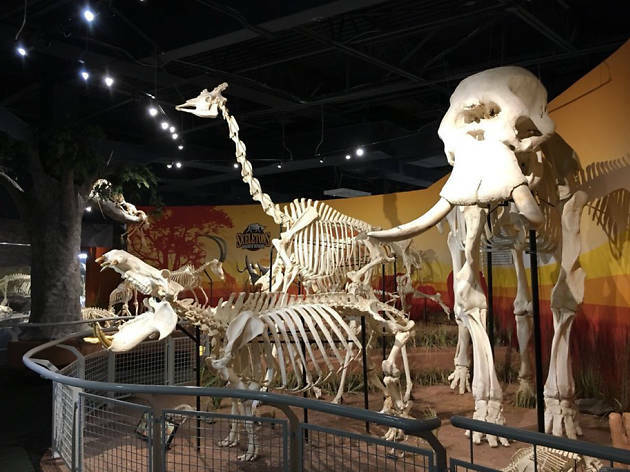 Once you’re all shopped out, spend time exploring the Winter Park History Museum, before sampling one of the many excellent dining options nearby, including Prato and the Ravenous Pig. What is it? Don’t try this one at home, folks. Gatorland is a wildlife preserve and theme park offering visitors the opportunity to roll up their sleeves and wrestle an alligator. Why go? 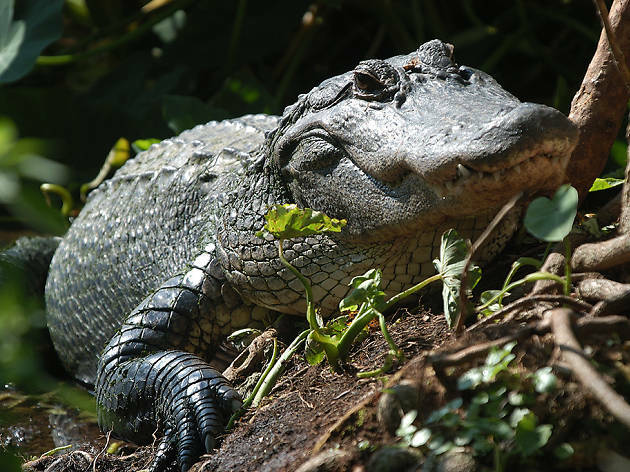 Even if you aren't up for gator wrestling, there's still plenty to do, like the Screamin’ Gator Zip Line, a 30mph ride high over the park’s Nile crocodiles, or the Trainer-for-a-Day program, which includes time spent feeding baby alligators. What is it? 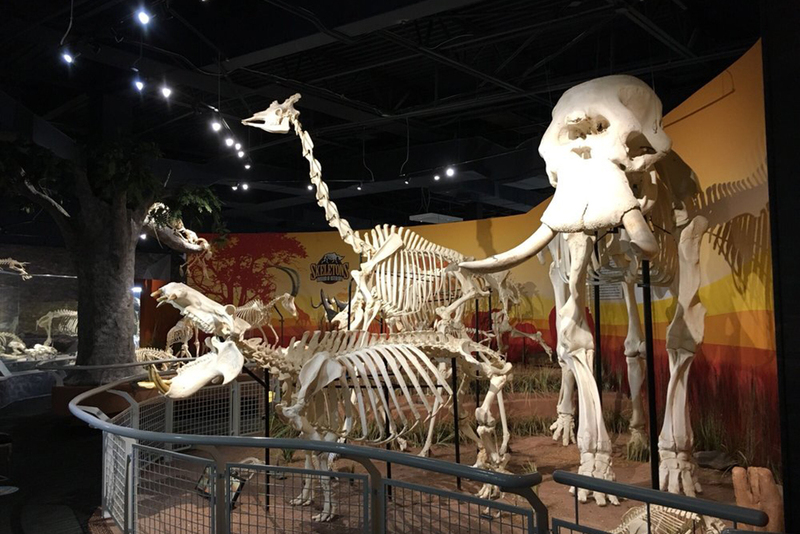 The home of various permanent collections of art, including African art, contemporary and the outstanding “Art of the Ancient Americas.” Founded in 1924 with the aim to let the public experience and learn about art, this museum is one of Orlando's cultural institutions. Why go? 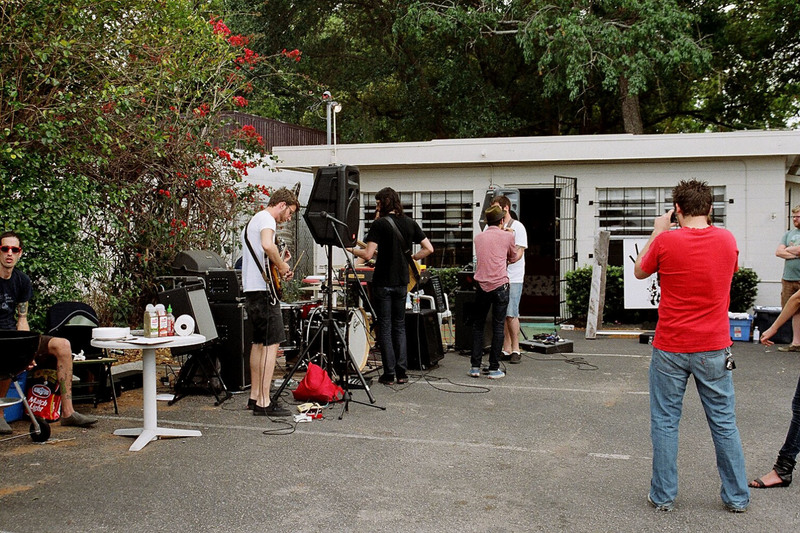 It may be known for big, splashy theme parks, but Orlando has one of America’s more vibrant local arts scenes. 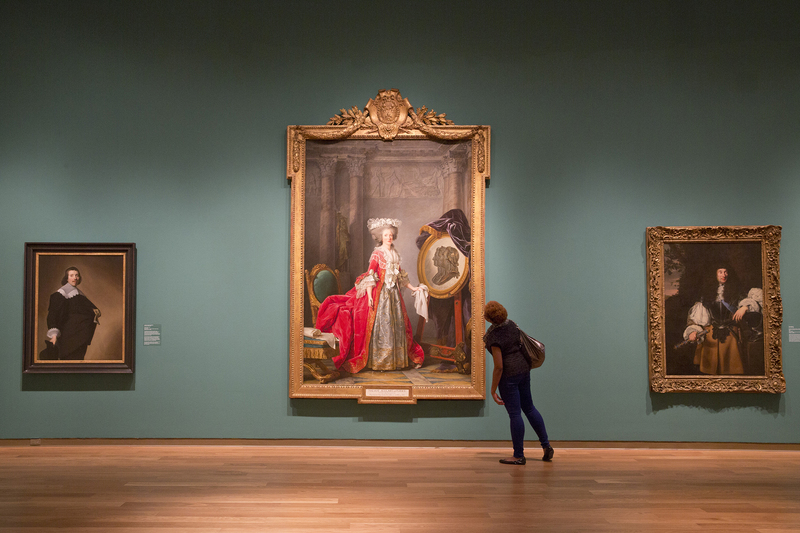 After you check out OMA's impressive array of ancient and contemporary art, head to the quirky Charles Hosmer Morse Museum of American Art. This museum contains the world’s most comprehensive collection of Tiffany glass, jewelry and ceramics. What is it? 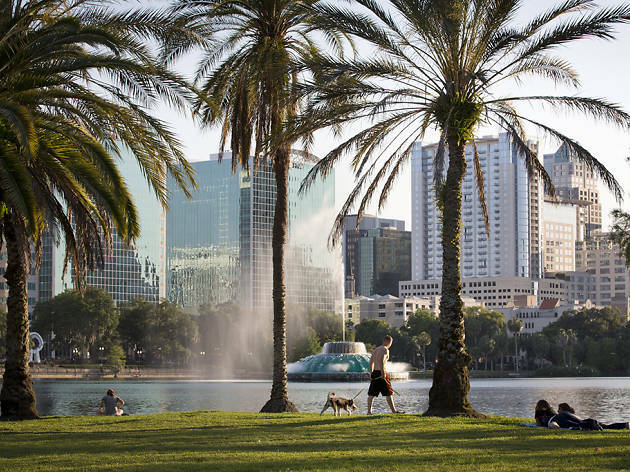 Orlando’s serene Eola Park and its Centennial Fountain have been a focal point for city life since the earliest settlers used to water their cattle here. Why go? A popular spot for runners, the sidewalk circling the lake is almost exactly a mile long. You could easily spend a peaceful afternoon on foot, but the traditional way to enjoy yourself here is by hiring one of the swan-shaped paddle boats and gliding peacefully among their real-life counterparts. What is it? Adjacent to the colossal SeaWorld Orlando, Discovery Cove is an island oasis away from all the fanfare and spectacle next door. Why go? 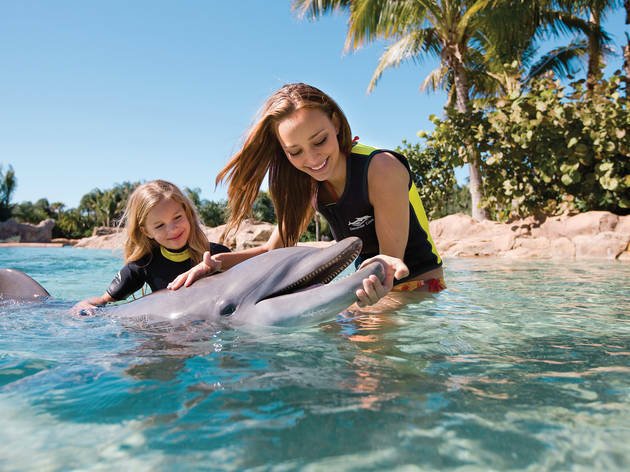 Book yourself an all-inclusive day here and you’ll get a free 14-consecutive-day pass to its neighboring sister resorts, SeaWorld and Aquatica. The latter boasts the colossal Ihu’s Breakaway, Orlando’s highest and steepest freefall waterslide. Want to really go for it? 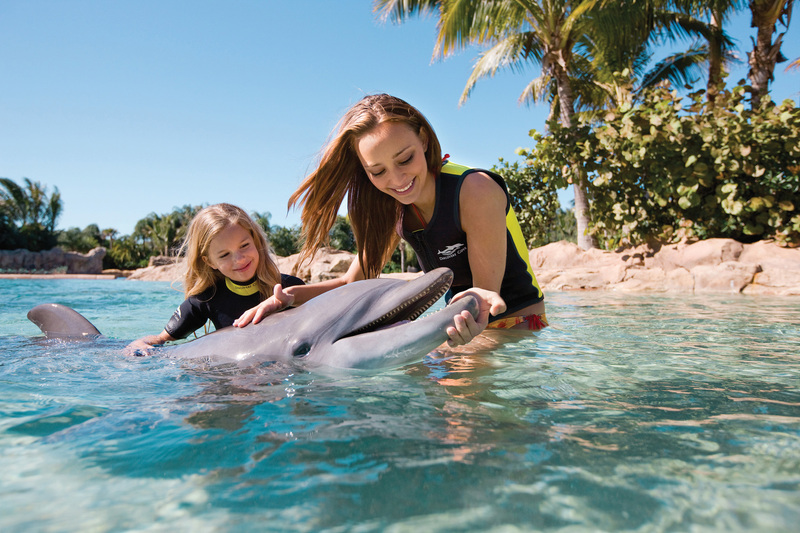 Book to swim with bottlenose dolphins, snorkel with rays and hand-feed exotic birds. What is it? 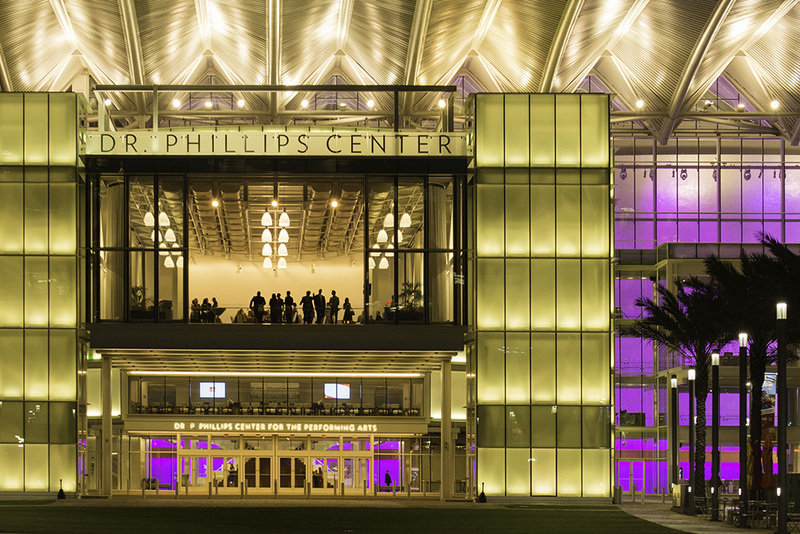 Home to the Orlando Ballet and a string of touring Broadway productions, the state-of-the-art center is located at the very heart of downtown Orlando. Why go? 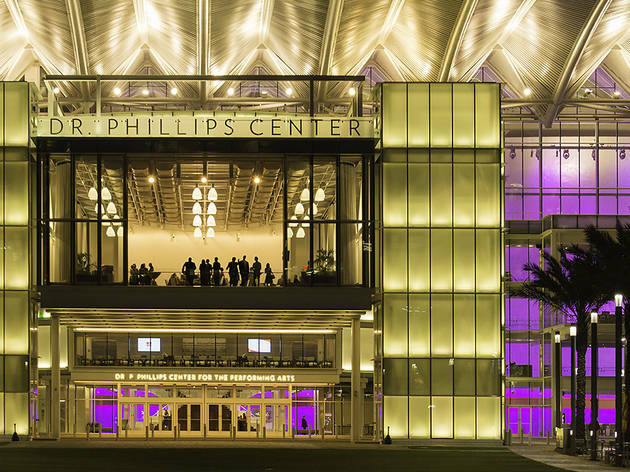 Aside from hosting award-winning productions in its three theaters, Dr. Phillips also offers plenty of opportunities to interact with those on stage, including dance masterclasses with Broadway actors and its regular PechaKucha Nights (named after the Japanese term for “chitchat”). What is it? 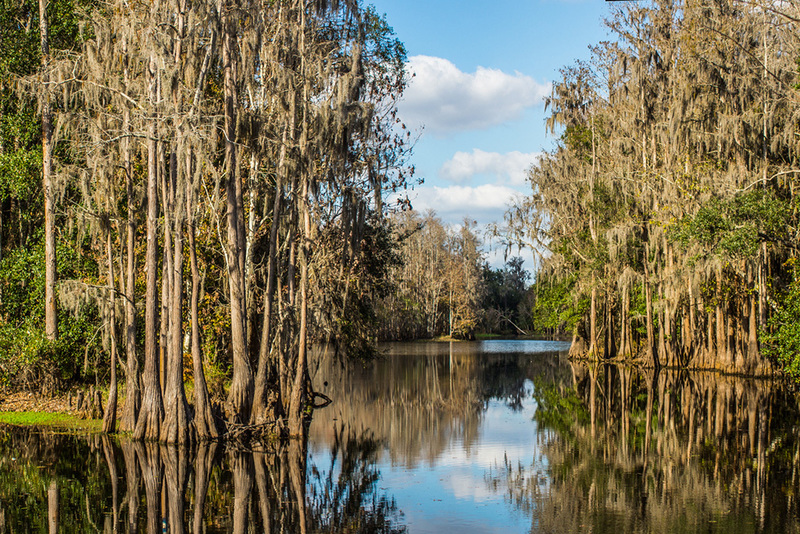 Just south of Orlando, the pretty city of Kissimmee lies on the northwest shore of Lake Tohopekaliga (nicknamed Lake Toho). Although it's mainly known for the abundance of theme parks that lie within, the rest of the area is much more chill than thrill. Why go? 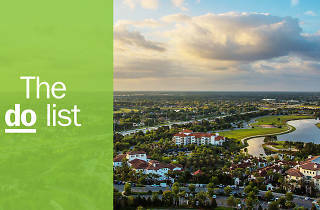 Kissimmee is a naturel over's playground. The lush Kissimmee Lakefront Park features walking paths, playgrounds and a fishing pier where you can join an airboat ride. But the big news is that the mountain biking here is about to get significantly better with the addition of the 32-mile Shingle Creek Regional Trail. What is it? 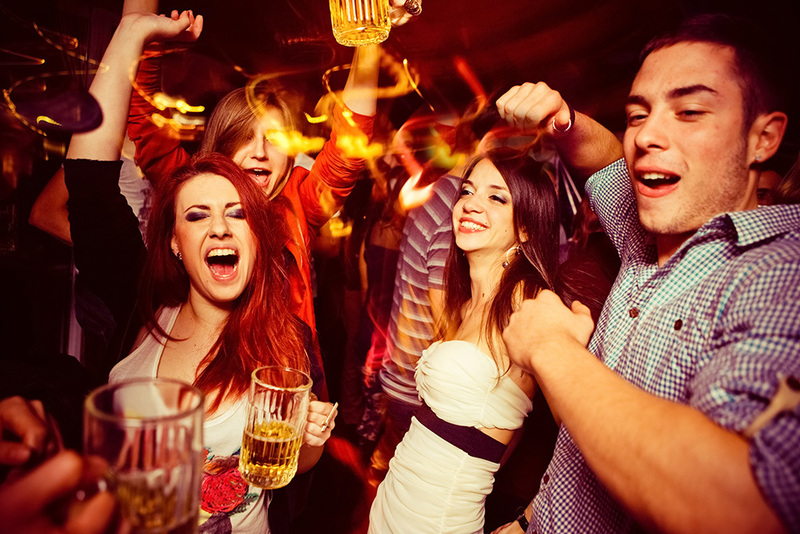 Trendy and eclectic, Thornton Park is a cluster of bars and restaurants around East Central Boulevard, and a favorite for a fun night out. Why go? Fans of a laid-back dinner and drinks will enjoy burger bar Graffiti Junktion while oenophiles can drink their fill at the classy Lake Eola Wine Co. 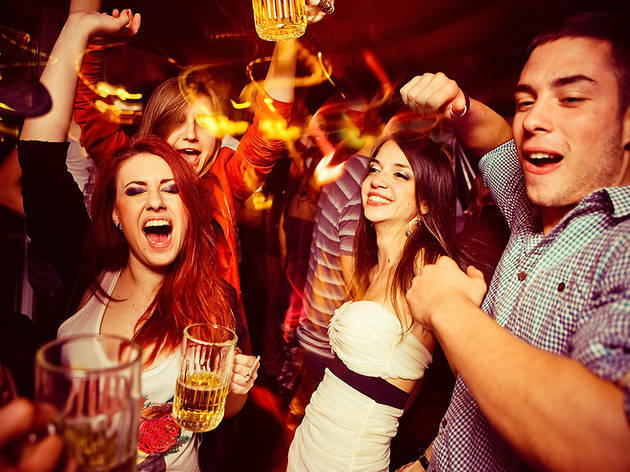 If beer’s more your thing, dive straight into World of Beer, while in the basement beneath it, fans of burlesque can shake their tail feathers or try their hand at billiards in the Stardust Lounge. What is it? 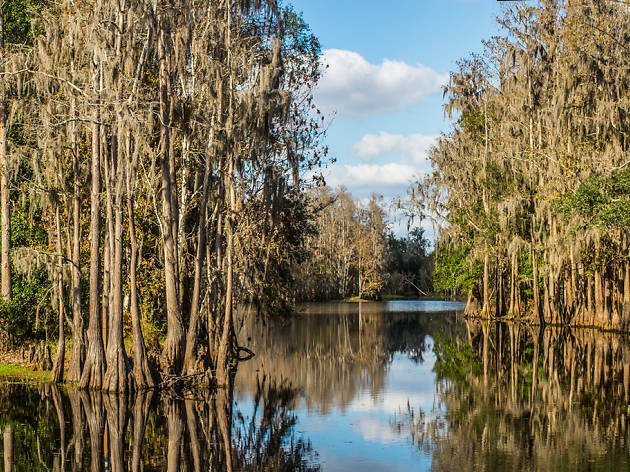 The expansive 4,700-acre Forever Florida Wildlife Conservation Area, an hour southeast of downtown Orlando, is a nature-loving-thrill-seekers’ paradise. Exploring the wild never got so easy. Why go? 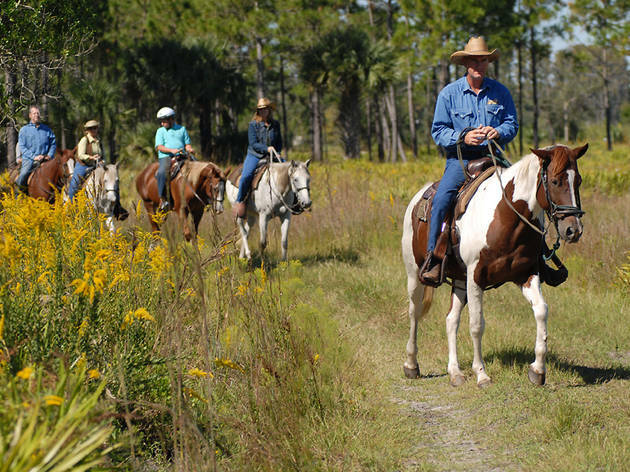 Forever Florida offers a variety of adrenaline-packed options within its nine distinct eco-systems, from horseback riding to zip-lining. Make sure to visit the "Peregrine Plunge" where 1,300 ft of zipline offers incredible views of the park and the "Panther Pounce", where you'll partake in a controlled 70-foot high freefall drop. Thankfully, "Panther Pounce" doesn’t involve real panthers (phew), but the greater reserve does contain some of the big cats, as well as alligators, black bears and white-tailed deer. Fancy getting a closer (but not too much closer) look? Jump onto one of the trail buggies and journey deeper into the wild. What is it? 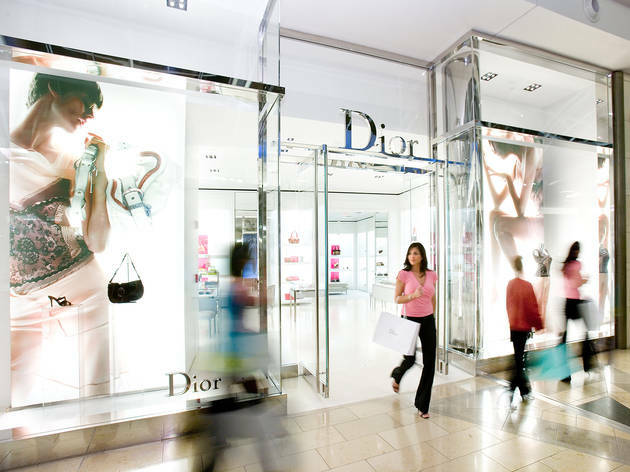 A fashionista’s dream, Orlando has not one, but three designer outlet centers at its heart. Why go? 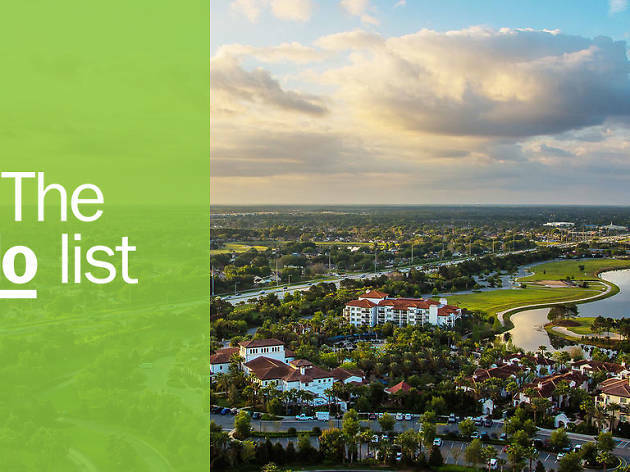 If the Orlando Vineland Premium Outlets and Orlando International Premium Outlets with their who’s-who of brands from Hugo Boss to Burberry weren’t enough, there’s also the sprawling Lake Buena Vista Factory Stores with a similar line-up and free shuttle bus to and from 60 hotels. And that’s before you’ve even made time for the Mall at Millenia, which houses names like Prada, YSL and Breitling. What is it? 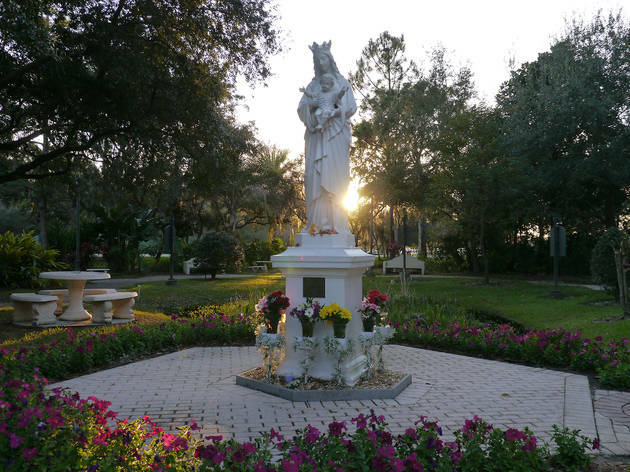 The Harry P. Leu Gardens are a welcome calm among the storm of Orlando’s more high-octane sights and sounds. Why go? 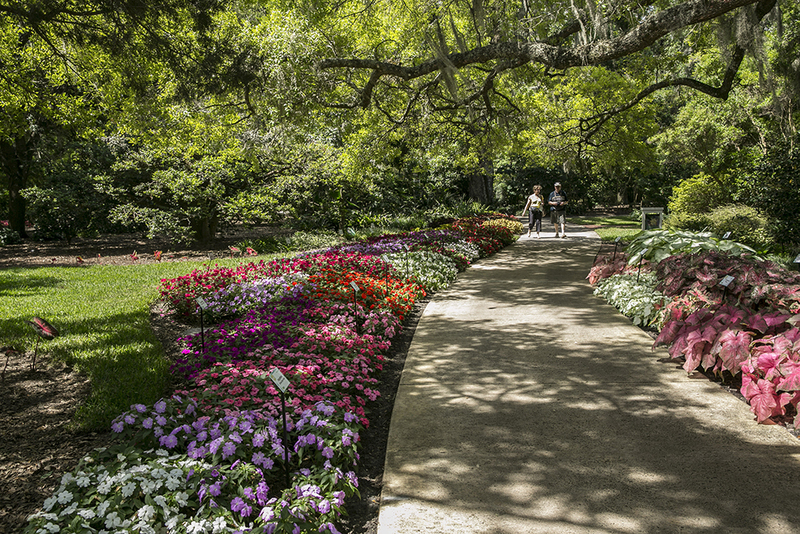 A botanical paradise just minutes from downtown, the gardens were founded in the 1930s by local industrialist Mr. Leu, who would travel the world, bringing rare plants and seeds back for his blossoming project. 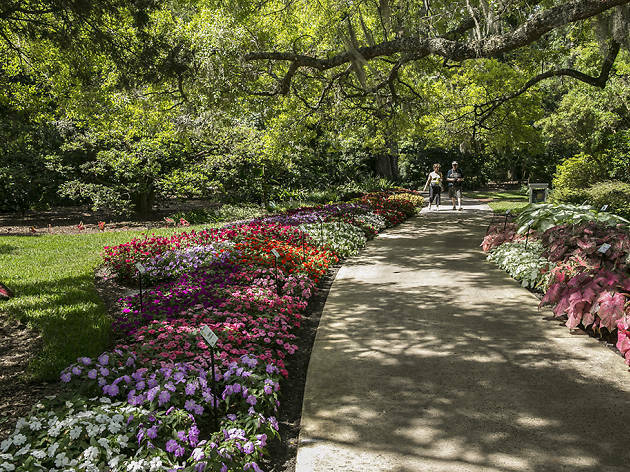 The tropical and semi-tropical gardens unfold across a rolling 50 acres of landscaped grounds and streams, with meandering trails shaded by 200-year-old oaks and forests of camellias. Various different plants come into season across the year, which means that the spectacular view constantly changes too. Entrance to the garden is $10 adults, $5 kids and free for children aged 3 years and below. What is it? 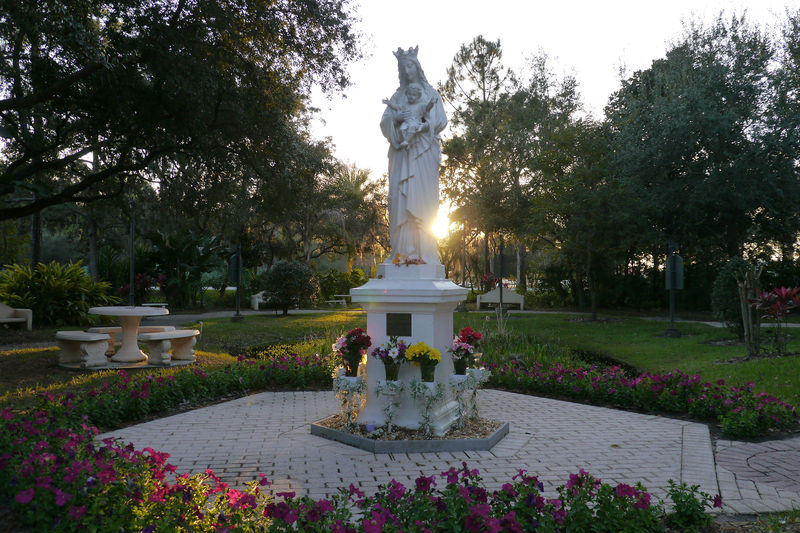 The statuesque Basilica of the National Shrine of Mary, Queen of the Universe was originally built to service the large number of Catholic tourists flooding into Orlando following the grand opening of Walt Disney World in the ’70s. Why go? Even if you’re not religious, it’s worth taking time out of your trip to visit this church, which has become a tourist destination in its own right. Admire the spectacular architecture and visit the Shrine Museum, which displays religious art from around the world. What is it? 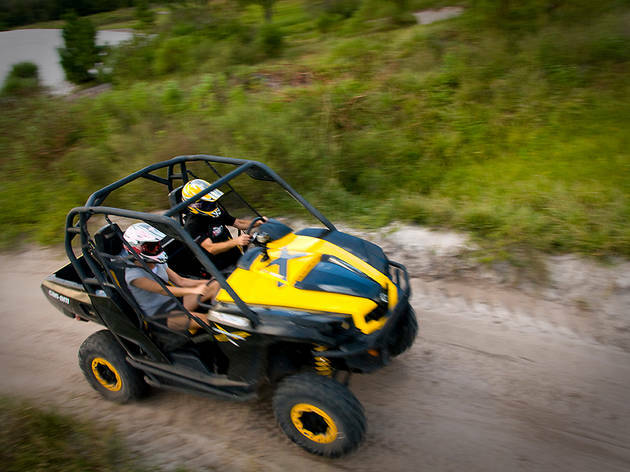 At Revolution Off Road you can get behind the wheel of an All Terrain Vehicle, amphibious ‘Mucky Duck’ or dune buggy and let her rip in the back country. Why go? Buckle up for an adrenaline-filled afternoon. 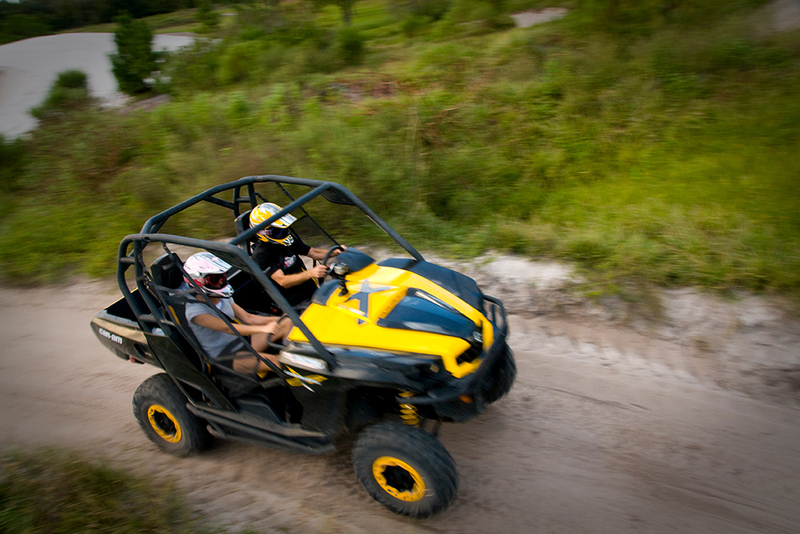 The site, just 22 miles west of Orlando, is dedicated to serving up off-road fun with lashings of mud on the side. If racing your friends and getting filthy don’t appeal, there are a number of less automotive options on site, including fishing and archery lessons. What is it? At only a 30-minute car journey from downtown Orlando, these twin markets are a bargain hunter’s Valhalla. Why go? 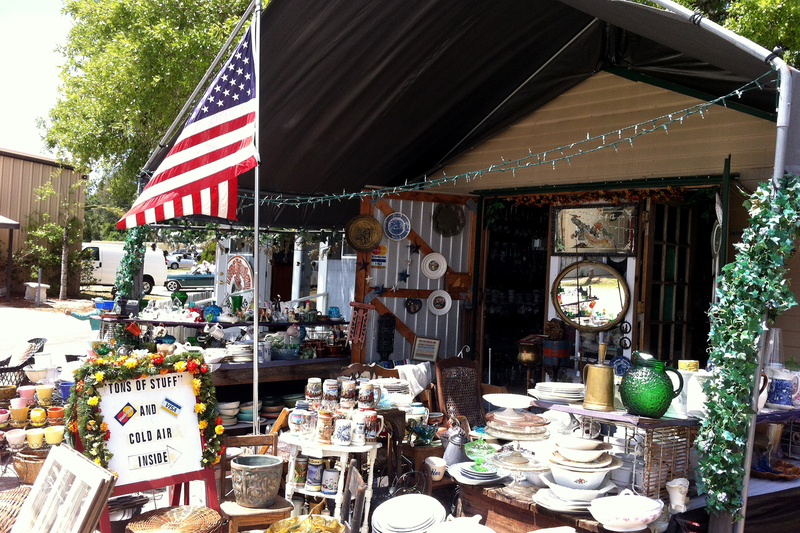 You don't have to pick between a farmers market or antique market at Renninger’s Twin Markets. 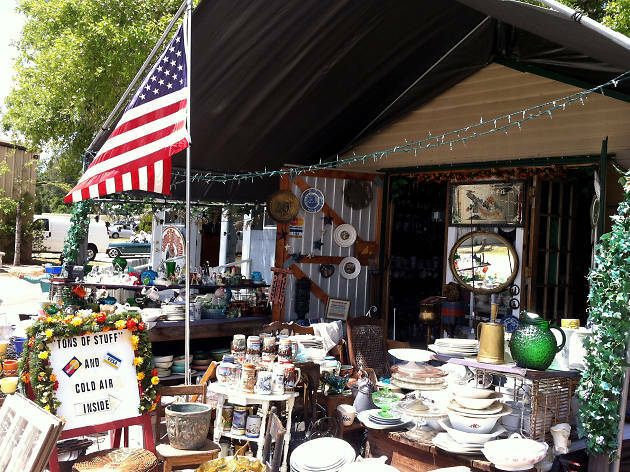 Stop by the weekend shopping extravaganza to pick through a vast antique barn crammed with treasures, shop the bustling flea market containing pretty much everything you could wish for and nab local eats from the farmers market. Tasty. What is it? This up-and-coming nabe near the T.G. Lee dairy plant (hence the bovine name) offers plenty of tasty grub, trendy bars and hip shops. Why go? Tourists who want to do as the locals do should spend an evening strolling the Milk District. 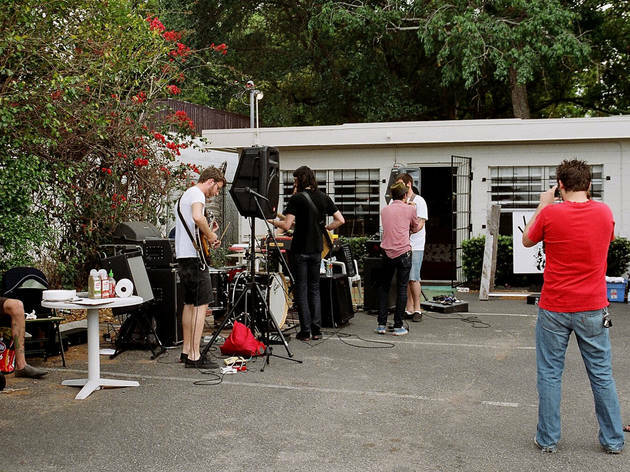 Taste the neighborhood favorite roast beef sandwich at Beefy King (sorry, aforementioned cows), catch live sets from local bands at the Plaza Live and grab a pint at Barley & Vine Biergarten. Planning a cultural deep dive? 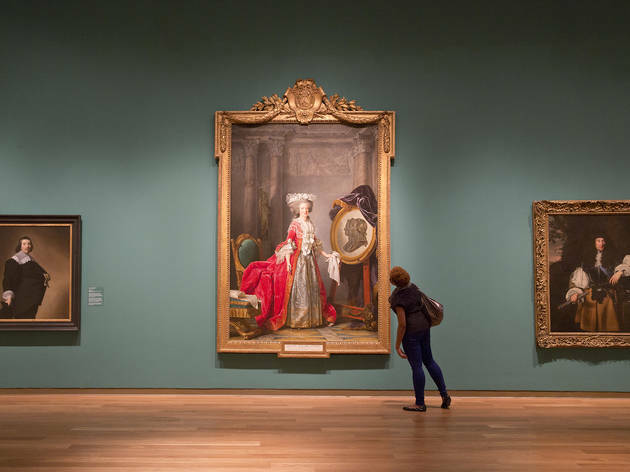 From the Morse Museum’s collection (the largest in the world) of Louis Comfort Tiffany’s works to Cornell Museum’s recent exhibit dedicated to European art, you’re in for an artistic treat.